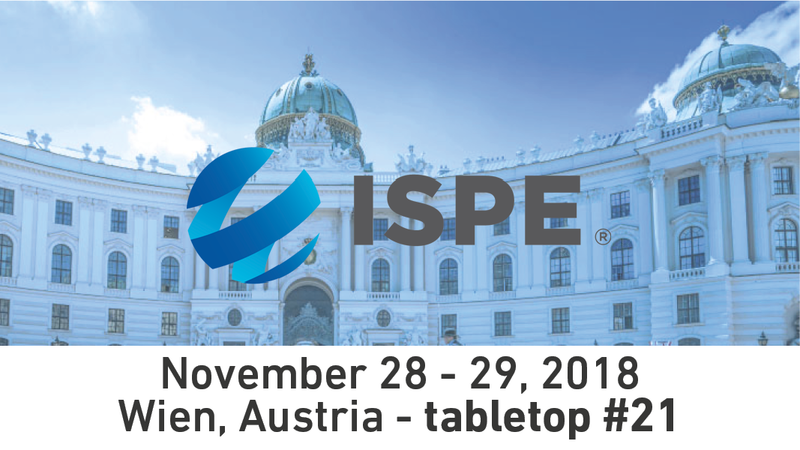 ISPE comes to Vienna, Austria on 28-29 November 2018 and we will be there. The event takes place at the Vienna Marriott Hotel. Meet our team at tabletop #21 to get the latest updates on our aseptic isolation technology for pharmaceutical companies. Filling and Assembly Lines for combination products, that is ready-to-mix systems. Cell and Gene therapy isolator and modular incubation system. If you are attending, stop by our tabletop #21 to meet our sales managers and hear the details for these and many more references.